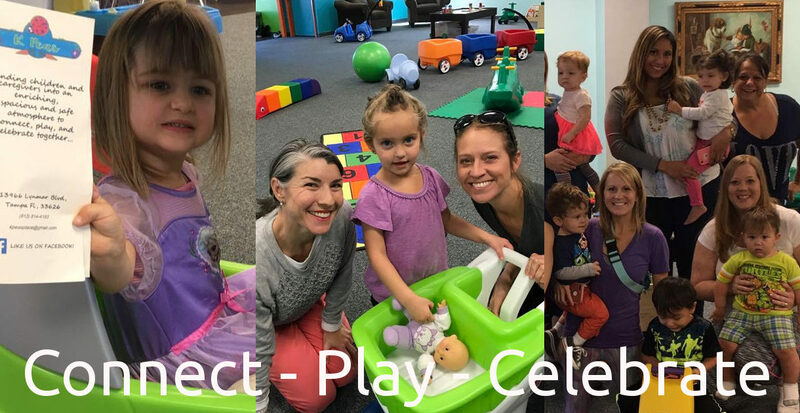 Extended open play for all ages to enjoy! 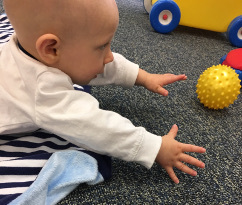 you may come and play only~ this is a child-led experience. $15 per family ~ older siblings welcome. 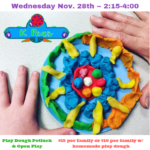 $10 per family w/ homemade play dough & recipe to share. 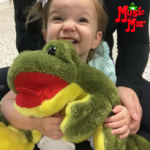 2:45-3:00 gather around the parachute to enjoy simple fine motor activities as we rev up those tiny muscles for some play dough FUN!